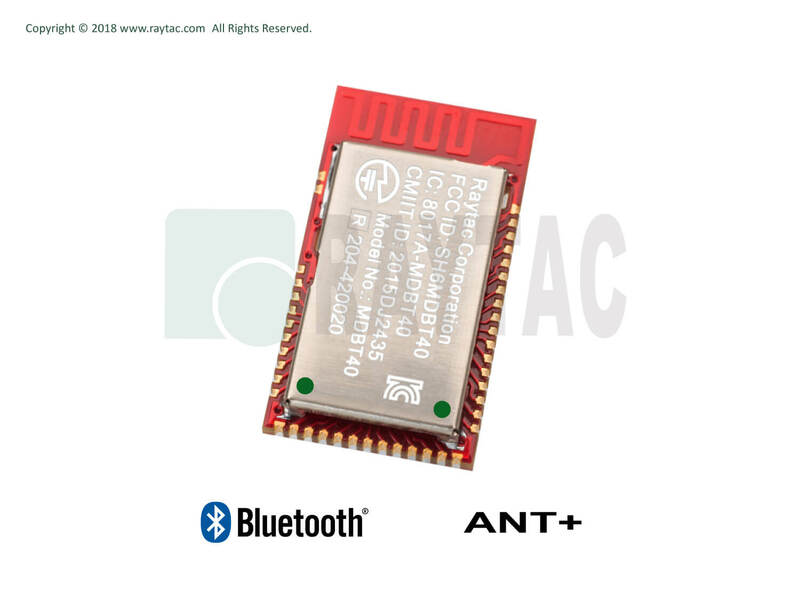 * Highly flexible multiprotocol SoC ideally suited for Bluetooth® Low Energy, and 2.4GHz ultra low-power wireless applications. 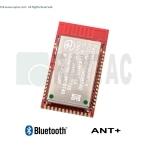 MDBT40-ANT-P256V3 built by Nordic nRF51422 solution which supports BLE & ANT+ protocol. 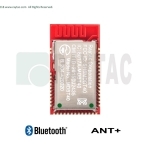 MDBT40-256V3 deployed Chip Antenna and offers a excellent connectivity ability. 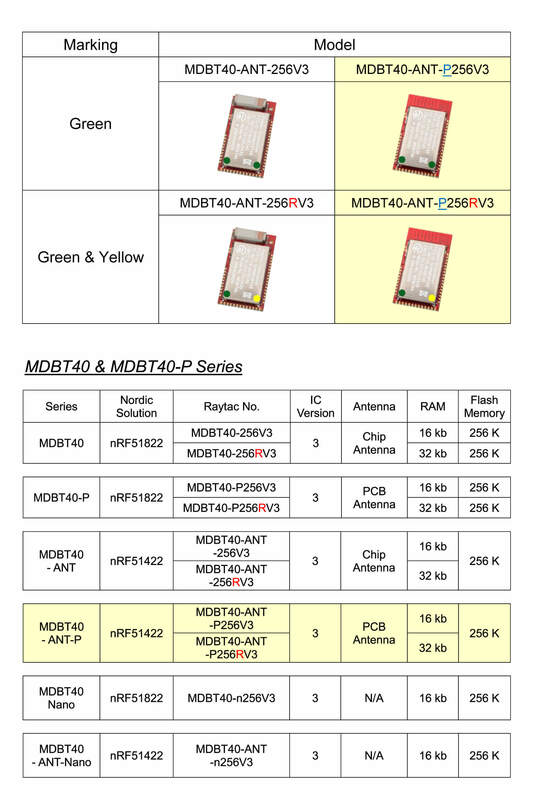 MDBT40-P256V3 deployed PCB Antenna and offers a good connectivity ability. MDBT40-256RV3 deployed Chip Antenna and offers a excellent connectivity ability. 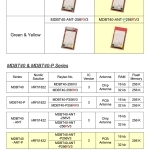 MDBT40-P256RV3 deployed PCB Antenna and offers a good connectivity ability. MDBT40-DB demo board is designed for quick testing and debugging without building your own board. The board is only available with Nordic nRF51822 MDBT40-256RV3 (32K RAM / Chip Antenna) module. 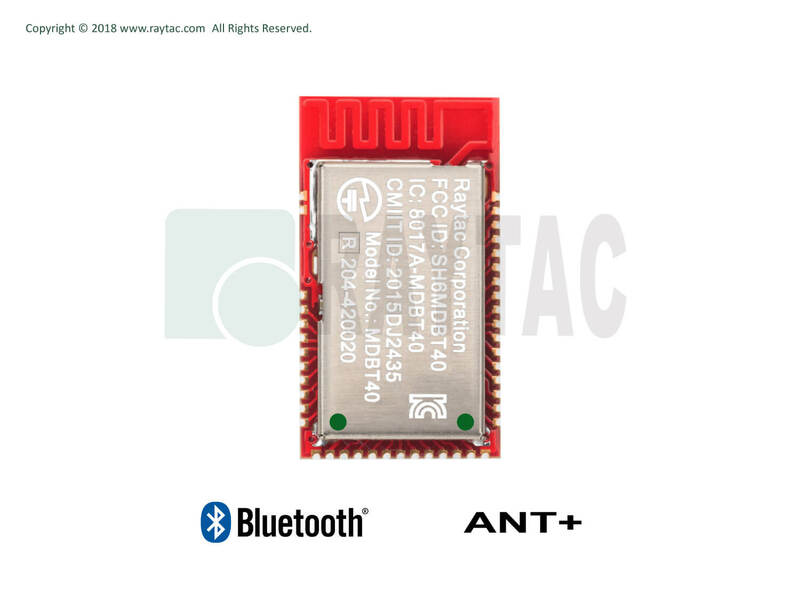 Raytac's MDBT40-ANT & MDBT40-ANT-P is a BT4.2 ＆ BT4.1 & BT4.1 stack (Bluetooth low energy or BLE) module designed based on Nordic nRF51822 SoC solution, which incorporates: GPIO, UART, I2C, SPI, PWM and ADC interfaces for connecting peripherals and sensors.